Thomas Chidgey (18845-1926) was a ship’s captain from Watchet. Although he had no formal training, he painted ship’s portraits, which were in great demand to visiting captains and crew. He became known as one of the ‘pierhead painters’ whose work provides a valuable record of the sailing ships of the day, with accurate detailing of theier rigs. He not only painted ships’ portraits but also ships at sea in adverse conditions, and other marine subjects including Watchet’s harbour. His work is now in great demand and rarely comes up for sale. 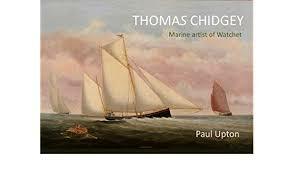 Here, Paul Upton shows some of Thomas Chidgey’s paintings and accompanies them with historical and descriptive commentary. From Cecil Sharp to the String Band and beyond, Rob Young gives a fascinating, enjoyable account of British folk’s eccentrics. Here is an Electric Eden Spotify playlist featuring: Peter Bellamy, Traffic, Bert Jansch, Fairport Convention, Archie Fisher, Bread, Love and Dreams, Bill Fay, Tudor Lodge, Comus, Meic Stevens, Sweeney’s Men, Tim Hart, Maddy Prior, Dr Strangely Strange, Albion Country Band, Roger Nicholson, Bridget St John, John Martyn, Richard Thompson, Steeleye Span, Unicorn, Fairport Convention, Trees, Fotheringay, Mike Cooper, Sheila Mcdonald, Spirogyra, Shirley Collins, Pentangle, The Incredible String Band, Nick Drake.